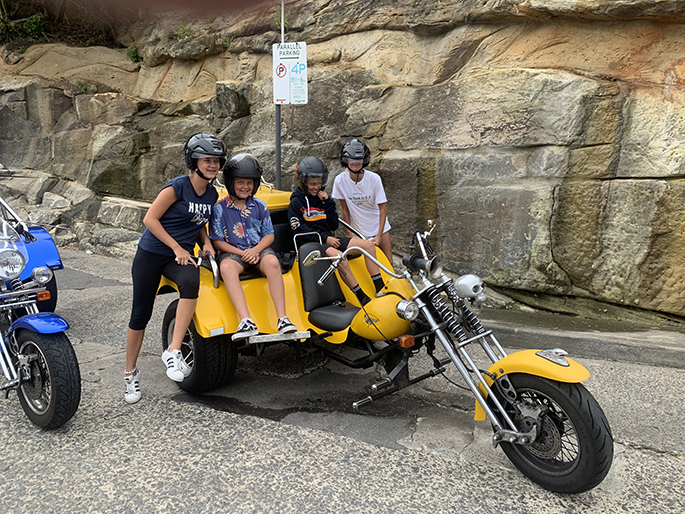 School holiday fun Sydney is easy with a trike ride. 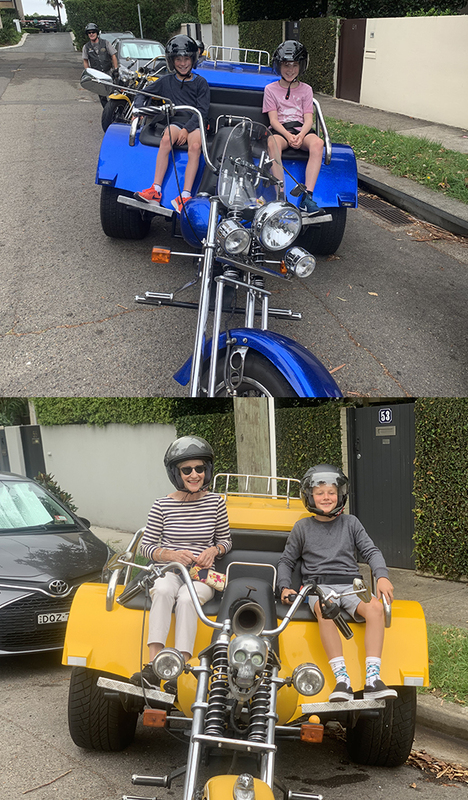 Grandma organised the experience for her teenage grandchildren for something different and memorable during the school holidays. They drove to McMahons Point because they live out of the city. This is a good place to park the car and it is safe for our trike and Harley riders to stop. Craig and Steve picked the teens up and rode them through some of the lower north shore suburbs. 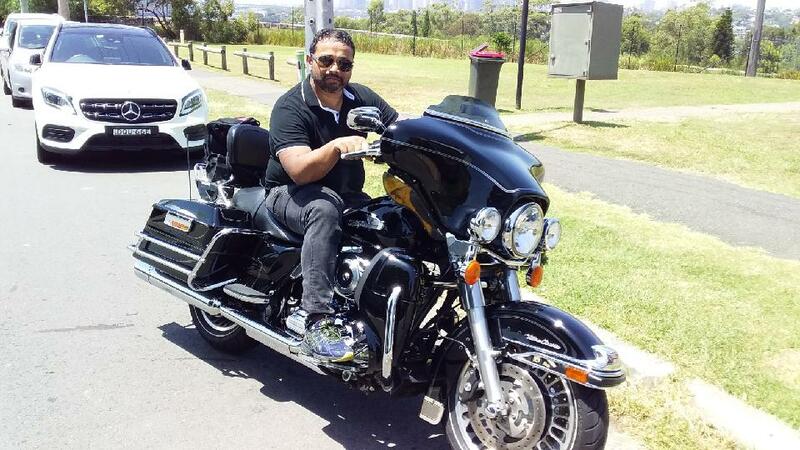 Next was the fabulous ride over the Sydney Harbour Bridge. An experience we never tire of as it is an amazing structure. Then they rode around the Royal Botanical Gardens and past Mrs Macquarie’s Chair. Next was a quick ride through the city and back over the bridge to the car where Grandma was waiting. It was such school holiday fun Sydney and an experience they won’t forget. 4 teenagers on school holidays 2 females, 2 males looking for something different. Great vibe great ride great Tour Trike Leaders Craig and Steve. Easy to recommend to anyone to try and great to give or receive as a birthday or Christmas present. McMahons Point is a harbourside suburb on the lower North Shore of Sydney, NSW Australia. McMahons Point is located 3 kilometres north of the Sydney CBD. McMahon’s Point is named after Michael McMahon, a 19-year old Irish farm labourer who arrived in Sydney on Feb 14, 1848 with his brother James. Two years later he married Angelina Faning (of St Heliers, Jersey Islands) and they had several children. Michael McMahon became a successful and wealthy manufacturer of brushes and combs and in 1864 built the McMahon family home on the headland. He became mayor of the borough of Victoria (later North Sydney) in 1890.